Are you about to redeposit at your favourite online casino? If so - stop right there and read this article. Many online casinos will offer you deposit bonuses even if you have already taken advantage of the initial deposit bonus. These casinos want you to deposit and will often give you a little something extra to do so. The reality - many of these casinos don't publicize the deals that they currently have on offer, especially for people who are looking to deposit again. These casinos are hoping that you will just deposit without asking for anything in return. That way, they don't have to pay out any extra bonus money. The smart online casino player will ALWAYS send a message to customer service, asking if there are any bonuses available. My advice? Enter a chat session with a customer service agent at the online casino. Tell this agent that you are thinking about depositing once again on the site but you are wondering if there are any bonus offers available. Tell them that you are prepared not to deposit if they don't offer you a bonus. The reality is that you can easily find another online casino who will want your business bad enough to offer you a bonus, so the truth is that you can easily take your bonus elsewhere. 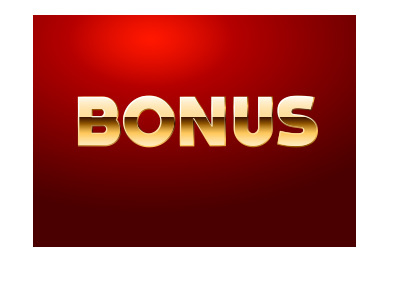 In many cases, you will be offered some sort of a reload bonus - for instance, a 100% bonus up to $300. Like with anything else in life, you don't get anything unless you ask for it. If you ask for a bonus and it is not offered to you, tell the customer service agent that you will play elsewhere if they don't offer you something.